​Our second research partner is Max Foundation. Founded in 2005 by two parents Joke and Steve Le Poole after the loss of their eight-month son to a rare viral infection, Max Foundation is a nonprofit organization that fights child mortality in Bangladesh, Nepal and Ethiopia. One of the main tools that Max Foundation applies in fighting child mortality are their so-called WASH (Water, Sanitation and Hygiene) projects. Max Foundation's WASH projects consist of establishing deep tube wells in remote villages, providing trainings to the suppliers of latrines and engage in hygiene education in order to raise awareness of the importance of proper hygiene practices. Max Foundation's WASH projects reached two million people and they aim of Max Foundation is to reach three million people by the end of 2021. This year Max Foundation started to combine WASH with nutrition (Max Nutri-WASH) in order to fight child mortality more effectively. 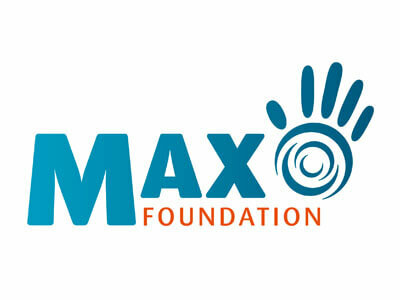 Max Foundation entrusted IRSP with conducting research on the effectiveness of Max Nutri-WASH on a global scale. Subsequently, the research will take form of a comparative case study on the field of development in order to advice Max Foundation on whether their approach on Nutri-WASH is the most effective one available, or if other alternatives are more effective. The study is part of a broader research of Max Foundation and it has the potential to affect the field by highlighting the most effective ways of saving lives by combining the intervention of nutrition and WASH. The researchers will gather data, conduct literature analysis and additionally interviews with the actors on the field, in order to create a statistical analysis on effectiveness of the gathered evidence. Given the size of the subject field, the research groups will be divided in groups of two, where one group will focus on the effectiveness of Max Nutri-WASH and possible alternatives within the paradigm of nutrition and WASH. The other group will focus on the effectiveness of Max Nutri-WASH and possible alternatives outside the paradigm of nutrition and WASH.
Dr. Thea van Asselt and Dr. Henk Groen, who both work at the Faculty of Medical Sciences at the University of Groningen, will supervise the research. Henk is specialised in epidemiology and pregnancy, whereas Thea in health economics and quality of life assessments.